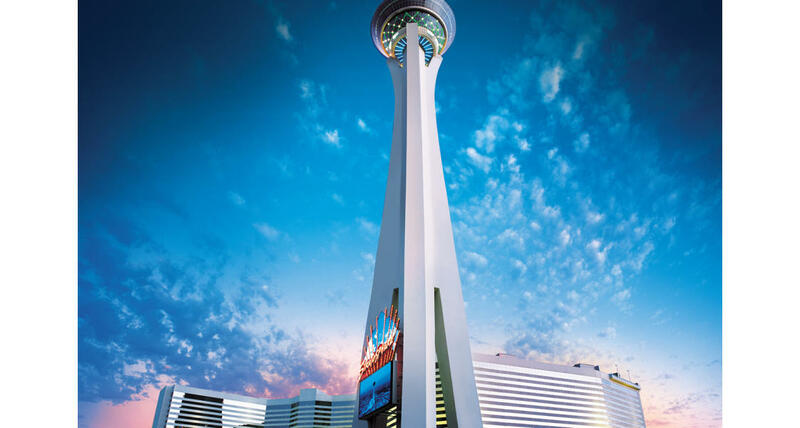 At 1,149 feet, The Stratosphere Hotel is on the northern edge of the Las Vegas Strip stands twice the height of any other building in the city - the tallest building west of the Mississippi, and the tallest freestanding observation tower in the United States. 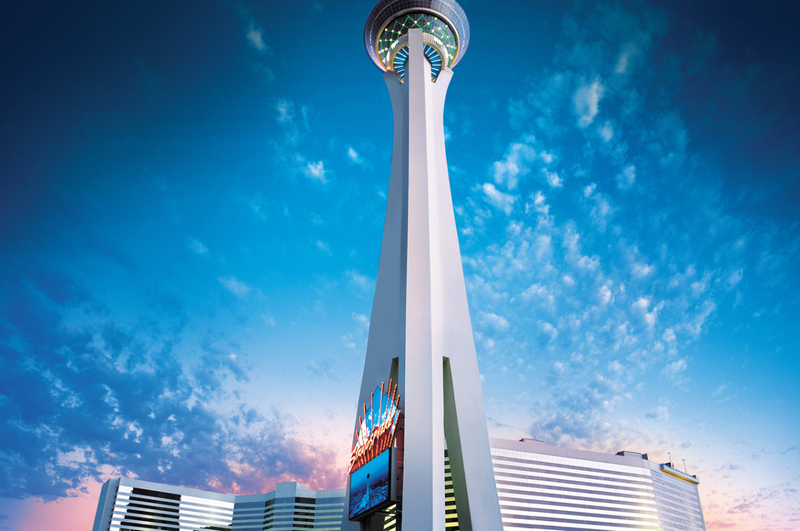 The Stratosphere Hotel features indoor and outdoor observation decks, the world's highest thrill rides and a 360-seat revolving restaurant and cocktail lounge. Guests are whisked from the ground floor to the observation decks in less than 35 seconds via double-decker elevators traveling at speeds of 1,800 feet per minute or three floors a second. Once you've arrived, you can ride the Big Shot, which shoots riders 160 feet in the air in 2.5 seconds; or the all-new X Scream, a teeter-totter-like ride that tilts passengers 30 feet over the edge of the tower. Or - go big. Real big - by jumping off the building in the SkyJump attraction -- it's not for the faint of heart! If you're looking for a different kind of a thrill, browse over 30 specialty shops in The Tower Shops, lounge by the 67,000-square-foot resort pool and recreation deck or play in the 80,000-square-foot gaming area in the hotel, which also features over 2,400 guest rooms and suites. The bright, cheery casino offers competitive gaming odds, slot machines, table games, poker room and sports book. Entertainment is always a highlight of The Stratosphere Hotel social scene! Dining options include Crafted Buffet, Strat Cafe & Wok; McCall's and the Top of the World gourmet restaurant, which revolves 360-degrees every hour.